Almighty and ever-living God, throughout time you free the oppressed, heal the sick, and make whole all that you have made. Look with compassion on the world wounded by sin, and by your power restore us to wholeness of life, through Jesus Christ, our Savior and Lord. Today is Memorial Day and I spent it the same way I have done for the the last decade. I attended and delivered the benediction at the annual Memorial Day observance in front of the town hall of Bogota, New Jersey. About one hundred of us stood under the dark pewter sky as the names of all our town’s fallen soldiers from the First World War to the present were read. 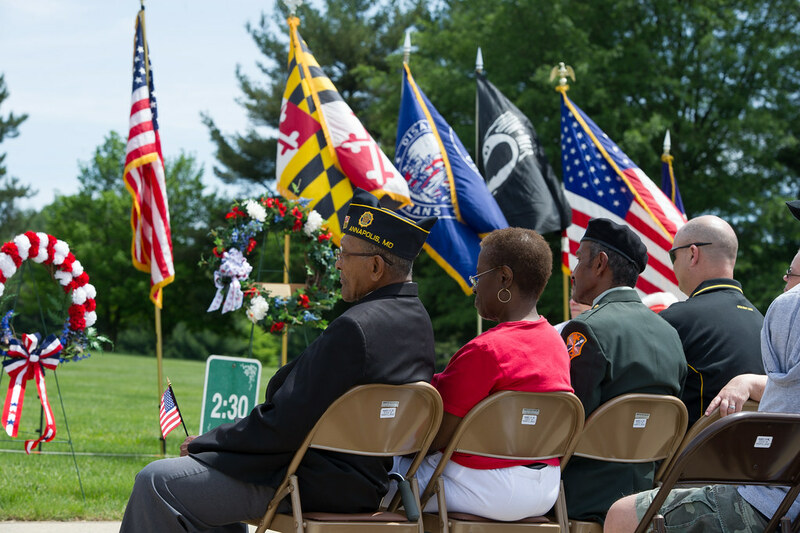 There were speeches, readings, placement of wreaths and, of course, the playing of Taps. At the end of it all comes my part-the benediction. I am never sure exactly what to say at a time like this. No brief word of comfort or hope spoken by me can heal the gaping wounds represented by the names just read. So I pray for peace. That is, after all, the hope for which these soldiers died. If anything can give meaning to the senselessness of war, it is a final end to war. If there is any comfort to be given the families of the slain, it is our God’s promise that one day all will live in the peace for which their loved ones died. That promise is encapsulated and given expression in the commandment to observe the Sabbath. For Israel, the holy day was not chiefly about worship, but about rest, refreshment and the restoration of wellbeing. Grounded as it is in God’s own rest on the seventh day after creation, the Sabbath points to a time when God’s peace will prevail. This peace is more than mere cessation of conflict. God’s peace, God’s “shalom” envisions a harmonious state of existence in which there is no hostility, competitiveness or strife. It represents the life we long for without knowing it. If I can perhaps touch that hope with my words and make an opening for God’s word that promises to vindicate it, that is at least something. Almighty God, you make wars cease to the end of the earth; you break the bow and shatter the spear; you burn the chariots with fire and bid us be still and know that you are God. Be exalted, O God, among the nations. Be exalted in the earth. And may we, your people, learn the ways of peace; teach us to beat our swords into plowshares, our spears into pruning hooks and to learn war no more. Bless our remembrance of these lives that have been so generously given in the cause of peace and justice. May their deaths inspire us to live in the peace for which they died. May their sacrifice move us to generosity toward our nation, toward one another and to all among us in need. May their selfless commitment to duty remind us of the sacred duty each of us has to love our neighbor as ourself. May their courage inspire us to give all in seeking to become the nation of justice, equality and freedom for which our ancestors have struggled over the generations. And now may the God of all nations bless us and keep us, make his face to shine upon us and be gracious to us; lift up his favor upon us and give us peace. In Jesus name. Amen. Deuteronomy is the fifth book of the “Pentateuch,” the first five books of the Bible traditionally attributed to Moses. It should be understood that, even from this traditional perspective, authorship was not understood as it is today. Modern biblical research has led to a general consensus that the Pentateuch is the product of four sources and perhaps several editors. For a brief outline of the history for the Pentateuch’s composition, see my post for January 7th. For a more thorough discussion, see this article on the Documentary Hypothesis. The Book of Deuteronomy is thought to have originated with the reform movement undertaken during the reign of King Josiah. See II Kings 22-23. Though reportedly triggered by the rediscovery of “the book of the law” during the course of renovating Jerusalem’s temple (II Kings 22:8-13), the teachings of Deuteronomy reflect much of the preaching against idolatry and injustice found in the writings of the prophets. The Book of Deuteronomy itself therefore represents more than whatever might have been discovered in the temple. It is, in addition, a reinterpretation of the ancient Mosaic covenant with Israel in light of centuries of prophetic preaching and bitter experience of Israel’s failure to live faithfully within that covenant under the pressures and temptations of nationhood. The decline of Assyrian influence in the near east at the end of the 7th Century gave the Southern Kingdom of Judah breathing room to rebuild and re-assert its independence from imperial control. The writers and editors of Deuteronomy saw this geopolitical development as Judah’s opportunity for a fresh start and a new beginning. Drawing upon the wisdom of the Mosaic covenant, they retold Israel’s story in such a way as to inspire hope for the dawn of this new day and to warn of the temptations they knew were lying ahead. The Book of Deuteronomy as we have it today relates Moses’ final word to the people of Israel as they are encamped on the borders of the Promised Land. Life is about to change for the people of Israel. They will no longer have Moses to lead them. Moses, of course, has been leading the people for half a century. He confronted Pharaoh, King of Egypt on their behalf speaking God’s demand for Israel’s release from slavery. He led Israel out of Egypt and to the brink of the Red Sea where God defeated Pharaoh’s armies decisively. Moses was God’s spokesperson bringing down from Mt. Sinai the words of the covenant that would shape Israel’s new life of freedom. He was with the people throughout their wanderings in the wilderness. Now Moses addresses the people for one last time before they reach their long awaited destination. As might be expected, a recitation of the Ten Commandments is found at the beginning of Moses’ oration. These commands constitute a clarion call for a kind of human existence that is radically different from the slave culture of Egypt and the surrounding Canaanite city states. For more on that, see my post of February 26, 2018. This Sunday’s reading contains the commandment to observe the Sabbath which, along with the commandments against covetousness and bearing false witness, are largely neglected. Sabbath observance in the protestant tradition has long been confused with worship which, in my own humble opinion, belongs under the commandment to honor God’s name. In reality, Sabbath has less to do with worship than it does with justice for working people, humane treatment of animals and preservation of the earth from exploitation. The commandment against work on the Sabbath gave all people, including servants and beasts of burden, a much needed opportunity for rest and refreshment. The season of rest to be given cultivated land every seventh year mirrors this requirement. The Sabbath, it should be remembered, was the very first commandment God instituted at the dawn of creation. To emphasize the importance of observing this day of rest, God rested on the seventh day following the completion of creation. So tell me again about how your work is so important and pressing that you just can’t find time to take a break! Later on in the Hebrew Scriptures and in the New Testament, the Sabbath took on an eschatological dimension symbolizing the rest all creation will one day experience when God ushers in a new heaven and a new earth. One example can be found in the Letter to the Hebrews 4:6-10. The consequences of neglecting this commandment are obvious. Work is claiming increasingly more of our lives as more people are finding it necessary to work multiple jobs in order to earn sufficient incomes. E-mail, texts and cellular phones allow the office to invade what little time we have to spend with our families, in worship and at recreation. All of this places increasing stress on our personal health, the wellbeing of our marriages and our commitments to church and community. Our ruthless exploitation of the environment has pushed us to the brink of a global crisis. The commandment pleads with us to make room in our lives, in our communities and on the face of our planet for rest; for the cessation of relentless, dehumanizing and misdirected labor that is crushing us. Psalm 81 consists of two parts. The first, which constitutes the reading for Sunday, is a call to worship (vss 1-5) followed by an address from the Almighty reciting the story of Israel’s liberation from Egypt, God’s protection and provision for her during her journey through the wilderness to the Promised land (vss 6-7) and an admonition to continue trusting in the Lord and to forsake idol worship. Vss. 8-10. The remaining verses 11-16 (not included in our reading) constitute a lament by God over Israel’s stubborn refusal to listen to these admonitions and her insistence on following her own counsels. The psalm is likely a cultic hymn used in the feast of booths. This feast, also known as “Sukkot,” is the seventh and last festival on the biblical calendar, as recorded in Leviticus 23. Israelites observed this festival by living in temporary shelters for seven days as a reminder that, when their ancestors were in the wilderness, God provided them booths in which to dwell. Although this psalm and the festival of which it is a part harkens back to the past, it is forward looking in that it includes a promise on God’s part to fill the mouths of the people. The image here is of a mother bird placing food into the open mouths of her hungry nestlings. This is a powerful and moving image of Israel’s utter dependence on God’s motherly provision. As always, I encourage you to read Psalm 81 in its entirety. Paul’s relationship with the church at Corinth deteriorated significantly between the writing of I Corinthians and II Corinthians. It appears that there were some individuals or groups within the church at Corinth that were challenging Paul’s apostolic authority, undermining his leadership and questioning his fitness as a preacher. Following his first letter, Paul made what he describes as a “painful visit” to the church. II Corinthians 2:1. This visit did not accomplish whatever it was he had intended. Not wanting to make another such visit, Paul wrote a “severe letter” to the church in Corinth out of “much affliction and anguish of heart.” II Corinthians 2:4. Though we cannot be certain, many commentators believe that at least part of this “severe” letter is contained in II Corinthians 10-13. E.g., Godspeed, Edgar J., An Introduction to the New Testament, (c. 1937 by University of Chicago Press) pp. 61-62. Whatever the case may be, it is evident that Paul was concerned about the effect his letter would have upon the church and so sent his associate, Titus, to Corinth in order to deal with the fallout. (It is also possible that Paul sent the letter along with Titus). Paul became so preoccupied with the problems at Corinth and the potential impact of his letter that he cut short a preaching tour in Troas and traveled to Macedonia in search of Titus. There Paul finally caught up with his associate who brought him a very favorable report from Corinth. II Corinthians 7:5-13. Paul’s severe letter had evidently done its work. The congregation gave its full support to Paul. Paul’s opponents were disciplined by the congregation so severely that Paul had to write and urge the church to reach out to them with forgiveness and “reaffirm” their love for these errant members. II Corinthians 2:5-11. It is this third letter from Paul to Corinth from which our lesson comes. Paul makes the point in our lesson that the ministry of the gospel is not all about him-or any of us who minister in the name of Jesus. It is about witnessing to Jesus as Lord. The Greek word translated “Lord” is “kurios” which, in turn, translates into the Hebrew name for God, “YHWH.” Moreover, the term “kurios” in the Roman world was ordinarily reserved for the emperor, Caesar. Thus, the simple declaration, “Jesus is Lord” constituted a powerful claim under the Hebrew Scriptures as well as a seditious utterance under Roman law. Small wonder, then, Paul insists that only by the power of the Holy Spirit can one dare to make such a claim! I Corinthians 12:3. Paul makes clear, as he does throughout his letters, that the message he preaches is grounded in the “knowledge of the glory of God in the face of Jesus Christ.” Vs. 6. Paul did not concoct the good news he proclaims. It was revealed to him. This is a reminder to all preachers and ministers that, again, it is not about us. I have been asked over the years by people skeptical of the church and its ministry what makes me think I have the right to stand up on a Sunday morning and tell other people how they ought to live their lives. The only response I can give is that I have no such right. I have been entrusted by the community to proclaim the life to which Jesus calls us. What Jesus promises and commands has its origins in the apostolic faith that is no less binding on me than the church as a whole. The minute I depart from that faith and begin pontificating on my own, I betray my calling. Paul describes the church and its ministers as “clay vessels” in which the treasure of the gospel resides. A lifetime of ministry in the church has only confirmed that reality for me. Ministers (yours truly included) are an egotistical lot. It is difficult to handle the holy day in and day out without letting it go to your head. With our higher degree of theological education and pastoral training, we tend to become dismissive of the rest of the church to which the ministry actually belongs. We have a tendency to forget that the Holy Spirit speaks through all members of Christ’s Body and frequently through the lips of those we regard as the most bothersome. Churches are frail communities made up of broken, flawed and sinful people. We have to come clean with people and stop leading them to believe that we are a utopian community where everyone is treated with equal dignity and all share a common commitment to the reign of God. We need to stop peddling the idea that the church is that warm, safe family where you can be accepted and loved the way you have always longed. The church is not a place to go for care, comfort and coddling. We have spas and yoga weekends in the Poconos for that. The church does sanctification. It is where you go to have the mind of Christ formed in you. That does not happen in a relaxed setting where all your perceived needs are met. It happens in a community of people who would not otherwise choose to be together, who might not get along very well and who may not even like each other very much. That is the setting in which patience, humility, forgiveness and genuine love are cultivated. Church is not for whimps. The gospel complements our reading from the Deuteronomy which gave us the commandment to keep the Sabbath. Jesus is criticized on two separate occasions for violating the Sabbath. We protestants have often misused these stories to dismiss the Sabbath as belonging to the “old covenant” between God and Israel. As Christians, we are free to disregard the burdensome regulations governing the seventh day and do as we please. But this is nothing close to what Jesus is saying. So far from dispensing with Sabbath observance, Jesus calls his disciples to a deeper and more profound recognition of the holy day. He does that by calling his opponents back to the reason behind the commandment. In the first instance, the disciples are passing through a field of grain. Being hungry, they take some of the grain to shill and eat. Taking grain sufficient to satisfy one’s immediate hunger from the field of another was not considered theft. But doing so technically constituted “harvesting” which was forbidden on the Sabbath day. On the face of things, there is no question but that Jesus’ disciples were violating the requirements for Sabbath observance. Yet the Sabbath was given to ensure that human beings receive rest, refreshment and renewal. It is nearly impossible for that to occur when one his hungry. Though one might ordinarily avoid such hunger by preparing food ahead of time, that is difficult for intinereant preachers who are always on the road. Thus, this technical violation of Sabbath law opened the door for the disciples to truly enjoy their Sabbath rest. So, too, in the second example Jesus is called out for performing an act of healing on the Sabbath. Again, healing would have been considered work that ought to be set aside during the Sabbath. But how much rest can you get with a hand that is withered, useless and probably in pain? Jesus’ act of healing opened up the possibility of true Sabbath rest for a man who for too long had known no rest from illness and deformity. The bottom line for Jesus is that the Sabbath, like all the commandments, is never an end in itself. The law was given to serve the needs of human beings, to create an environment in which human life can flourish. But when the law is being used to frustrate human health and wellbeing, it becomes a burdensome chain rather than an instrument of liberation. When the law is so interpreted, it is being distorted no matter how technically correct its application might be. Jesus points out that Sabbath observance is not done to please God. God is not impressed with how scrupulous we are in keeping the commandments. The commandments were given to aid us in serving one another. Thus, they cannot be interpreted or enforced in such a way as to harm a neighbor or place an obstacle in the way of God’s intent to bless him or her.